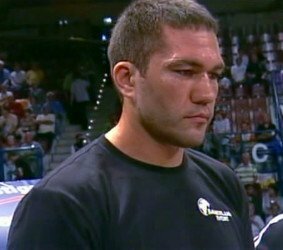 Kubrat Pulev – the X in the equation? On November the 15th Kubrat Pulev and Wladimir Klitschko will fight each other in the ring for the heavyweight championship of the world. Most people predict a tough fight for Klitschko and most probably a win by points or late KO, there are some who believe that Pulev can pull the rabbit out of the hat – but is he capable of doing that? By watching Pulev’s fights one can agree that he is a well skilled boxer and has a great jab, now that just by itself isn’t enough to beat Klitschko because he is incredibly skilled himself and has a superior jab. Klitschko is also stronger and has a great right hand that seems to be missing in Pulev. But I had come across some interesting articles and opinions about Kubrat, basically all the Bulgarian trainers who worked with him since he was a kid say that he isn’t showing all of his abilities in the ring. Indeed in some of his amateur fights he had shown a bit more action than the jab, jab, right hand combo that we are used to since he become pro. However Pulev must show some real diversity and needs at least a couple of game plans if he want to win because if plan A doesn’t work out he’ll end up as Povetkin – totally crushed. And since plan A is trying to outjab Wladimir, it probably won’t go well. So the question is what will he do? I read an article today in which one of the legendary Bulgarian trainers Todor Zandanov is stating that Kubrat will use a special technique developed by him to beat the champ a punch known as “Zandankata”. That punch is basically a variation of the right cross but delivered from a slightly different angle, sometimes coming from the top and sometimes as a counter punch from the inside. Now if you ask me I haven’t seen him use it that much so I’m skeptical about it. The next thing that he can try to do is bring some inside game but since Klitshko knows the way of the clinch (just kidding) and Pulev haven’t shown much of that I’m really wondering what can he do? He is obviously the next best man in the division for now, like it or not. He deserved that fight the old-fashioned way and maybe that is why some people believe in him. Even reportedly Povetkin said that Pulev is a good boxer and it won’t be very unlikely for him to win, and that he is eagerly waiting to see how that one will end up. I got to say that for me is the same, I really want to see how that unknown will be revealed. You are here: Home / Boxing News / Kubrat Pulev – the X in the equation?